Anybody know what or who the hell is this? Which is a terrible movie, when compared to the source material. Read the book and then understand the title. On a note for subliminal images on TV, CNBC went to commercial, and I swear I saw this pop up. We watched I am Legend the other night, you're right it's not the greatest flick. As for what that actually is I have no clue. Whoa that's freaky as hell. (08-19-2012, 08:15 PM)Octo Wrote: Whoa that's freaky as hell. 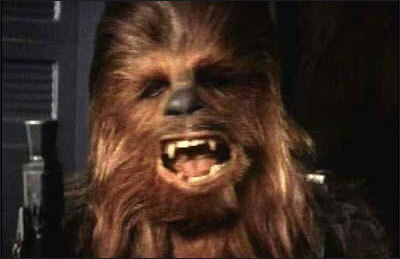 I just checked youtube to see if someone had posted it, alas no one captured chewie on CNBC. I seem to remember him from some B grade horror flick. Hey Kreeper! Glad to see you back! (08-19-2012, 08:14 PM)Anonymous Kritter Wrote: That thing has horns! Better actually, looks less like a toilet seat.